Suspected radiation from nuclear waste containers threatens a deep space probe from Earths space research center on the moon. It is a prologue to disaster and mankinds most fantastic adventure. A man returns from the dead and promise of a new civilization on a planet resembling earth opens for those stranded on the runaway moon. But there is drama ahead. Terror in Outer Space confronts the breakaway moon personnel when on a collision course with an asteroid which suddenly burns out and becomes all-devouring black sun. The moon becomes a prisoner of an alien planet as an eerie new menace grips Alpha in a ring of light and turns Dr. Helena Russell into an involuntary informer with death as her threatened reward. Representatives from a dying planet land on the moon. Their spacecraft has been programmed to take them to Earth. Is this an opportunity for key Moonbase personnel to return to Earth? Commander Koenig is faced with unexpected drama. An eerie phenomenon grips the moon. Moonbase Alpha Personnel become duplicated and come face to face with their future selves on Earth again. But for how long? A mysterious power from an alien planet takes control of the moon, luring its inhabitants to a paradise of eternal peace but living death. Only one man has the will to resist - Commander Koenig. A terrifying force from Outer Space brings freezing death to Alpha personnel. One man has been chosen as the instrument of destruction. 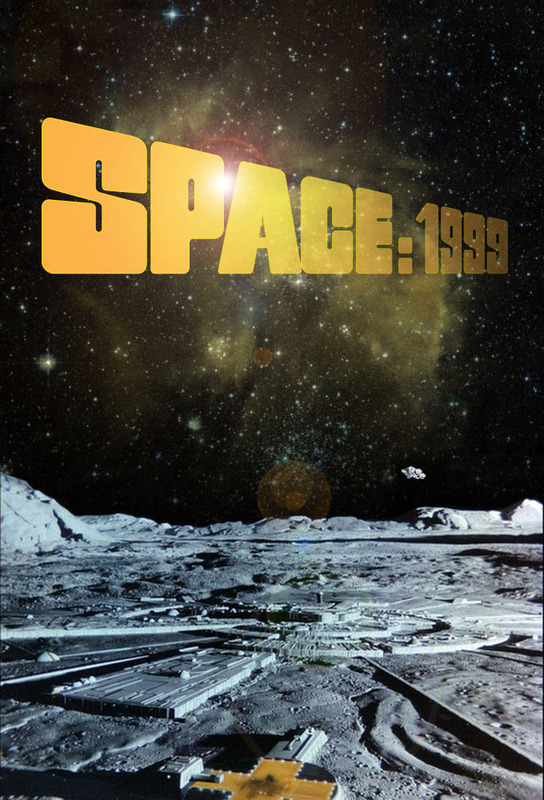 The first baby is born on the moon.......but terrifying events follow with an outer space battle between spaceships deciding the fates of hundreds. The prospect of a normal life dangles tantalizingly for the occupants of the runaway moon. Real air and sunshine/ A new existence, similar to that on Earth. But there is drama behind the dream. Grim danger emerges from the past. Moonbase is threatened with destruction from an unmanned spacecraft sent up from Earth many years earlier, with tragedy in its wake. Even worse lies ahead from outer space victims seeking revenge. Commander Koenig and his colleagues speed through space and time into a chilling world of ice - and meet former inhabitants of earth. The centuries roll back for the occupants of the moon through a time warp of 40,000 years to the Stone Age and meeting up with themselves as cavemen. The Alphans unleash a terrifying power when they free a killer who cant be killed. How can you deal with a psychopath who is immortal? Moonbase Alpha finds itself at war with an unnamed planet. The outcome is disastrous. Everything is wrecked. But can there be a future for the survivors on the aggressor planet? Moonbase Alpha finds itself caught up in war between two planets - and the wiles of a beautiful women. A ghost stalks the moon - the ghost of a living man - bringing horror and death in its wake. Alpha encounters an intangible mass as it heads though space ..... and towards disaster. Whatever the mysterious energy field might be, it possesses a strange and frightening power. Machine or man? Alpha encounters one of the strangest mysteries of the universe - a living machine. A call for help from the survivors of a dying world...an incredible world that has been flying through space for 900 years, with contrasting inhabitants. Some have never changed; others have reverted to barbarism. But can this offer new hope for the Alphans? A macabre monster in outer space ... an eerie graveyard of lost spaceships. Real or imaginary? Years of mental torment reach a terrifying climax. Is it the end for the Moon - or the beginning of a new life? In far-off outer space are found the origins of life on Earth itself as the Moons random progress comes to a sudden, inexplicable halt.